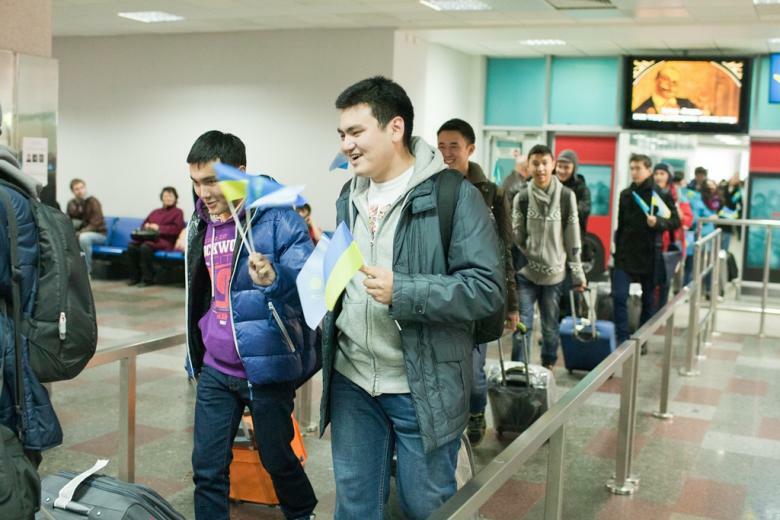 «Education – the bridge between Kazakhstan and Ukraine» | See you in Ukraine! November 15, 2012, Astana: the press conference devoted to prospects of cooperation of Kazakhstan and Ukraine in education took place. Participants told about possibilities and advantages of the higher education in Ukraine, students and were presented by higher educational institutions of Ukraine. During press conference the subject of the higher education in Ukraine, competitiveness of experts was discussed with the Ukrainian diploma on a labor market, conditions of receipt and process of selection of foreign students, conditions of entrance and residence in Ukraine during study. Also founders of show told, how the idea of the project was born, shared the impressions of collaboration process. Lyudmila Protasov opened press conference the consul general of Ukraine in Almaty. She told about cooperation prospect between our countries in the educational sphere. 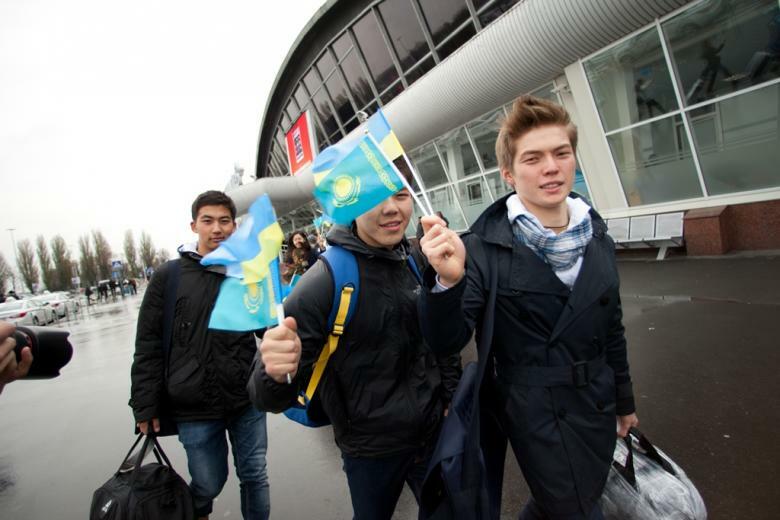 «Many Kazakhstan citizens who studied at the time of the USSR could estimate high level of the Ukrainian education. Many of them could realize themselves, reach high positions. One of the most worthy representatives of Kazakhstan is Nursultan Nazarbayev who has got the first education in Ukraine» - with pride Lyudmila Mikhaelovna noted. The consul also shared interesting supervision: to feel similarity of two cultures it is possible in ornaments, in accords of melodies of national songs of Kazakhs and Ukrainians. 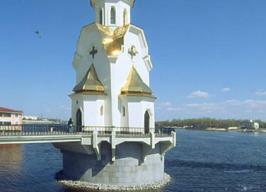 In completion of speech Lyudmila Protasov noted that such projects give excellent possibility to see other country, to get acquainted with new people, to learn traditions and customs, to make many new opening which will show, how many the general between Kazakhstan citizens and the Ukrainian people. Victoria Sergiyenko, the director of GP «Information and image center» of the Ministry of Education and Science, youth and sports of Ukraine noted that now the great attention is given to involvement of foreign students to Ukraine. «To study in Ukraine it is prestigious, diplomas admit around the world, thus accommodation is cheaper, than in Europe, there are no ethnic and religious conflicts, Ukrainians very hospitable and friendly people». Natalia Korotenko, the head of sector of information support of department of information researches and public relations told about prospects of the international cooperation and as a whole about the Ukrainian higher education Kiev national university of. T.Shevchenko. Alexander Sidorenko, the dean of faculty on work with foreign students of National aviation university of Ukraine told about history of aviation school, about prospects of flight business, achievements of graduates of NAU, specifics of work with the international students. Alexander Sidorenko told and about other advantages of NAU: «Since 4 courses on the basis of technical education it is possible to receive the second the highest, for example, in the field of law, economy, international law and to finish HIGHER EDUCATION INSTITUTION, having on hands 2 diplomas». On November 18 the TV show starts on air of Habar TV channel, and also on the new educational Bilim channel, in each of which five episodes the plot about one of HIGHER EDUCATION INSTITUTIONS of Ukraine which participants of show visited will be shown to the audience. The destiny of the winner will be solved in the ending which will go on the air on December 23.